Listener Email: Differences in the UK? First of all, I must express my sincerest thanks for all the work you’ve done on the podcast. Without reiterating too much the sentiment expressed by many people who’ve stated as much before me, I especially enjoy your discussions with Keith418 on the various issues you bring to the table. As well, your recent interview with David Rankine about The Goetia of Dr Rudd was very informative. Though I have not yet had the opportunity to work with the Goetia, I have been studying it very carefully lately, and it was interesting to hear David’s perspective on the issue of Goetic spirits and their relation to the human psyche. Anyway, I just wanted to extend my best wishes and look forward to the next podcast. Keep up the excellent work, and a very happy Crowleymas to you and yours! Thank you for another great podcast! Don’t stop, baby, please don’t stop. This religion debate hurts my head though. 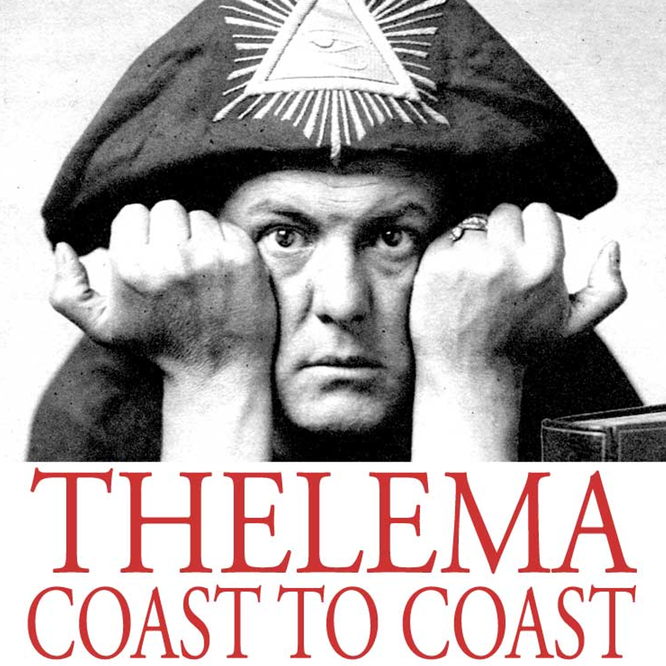 If Thelema is declared a religion, will it bring Crowley books to the religion sections of my local bookstores? That would be nice. I’m pretty sure that the only antidote to this headache is greater literacy. Maybe we can just put the “stupid kind of mischief” quote above the door of all the Thelemic churches. I’m sure there’s a happy compromise that will enable us all to get back to the holy task of disseminating the law. I’ve just been listening to Thelema Coast to Coast #43 and was almost surprised to hear the matter of whether the Goetic Demons (or any other entity involved in magickal workings) are internal or external brought up. It amazes me that this has become such a nagging issue that often comes along with so much emotion, and I tend to find it interesting whenever anyone takes either side of the argument, simply because from the empirical standpoint, all we ever have experience of is our own psychology. Philosophers for centuries have been unable to prove even the external existence of another human being (and really, the same debate can be applied to humans, animals, and anything else). It seems that Crowley’s discussion of the nature of the Holy Guardian Angel in Magick Without Tears should cover the matter well enough, pointing out that given our inability to verify internality or externality either way, it is best to simply deal with the entity in question as an individual entity, and leave objective reality alone, as it is not something we ever deal with directly. I guess it just seems to me that to take a scientific or magical approach, taking either standpoint would be to cast skepticism aside and take on a faith based approach, which can only hinder progress in the path towards Truth. Anyway, thank you for another wonderful podcast. I am currently listening to episode 42, and after listening for about a year I’ve finally decided to write in and comment. First, thank you very much for all your diligence in presenting the TCTC podcast. It is always a pleasure to listen to your thoughts and the interviews, and I enjoy hearing about various projects Thelemites are undertaking. TCTC is a fantastic, highly intelligent resource and you are to be commended for bringing it to fruition and keeping it running. What’s been itching at the back of my mind every time I listen to TCTC finally made it to my conscious thinking today. Early in episode 42 you said something to the effect of the following : “The main event for the OTO is not a ritual it is NOTOCON, a convention that takes place every two years and is basically an excuse for members of the OTO to get together and party..” etc. Now, being new to the OTO, I freely admit that I don’t have in-depth knowledge of everything and everyone involved therein. Also, because I didn’t encounter the Order until I moved to the UK I have no first-hand experience of the OTO in the US. However, I’d like to perhaps inject a tiny ray of sunshine into perceptions about the OTO. Here in the UK the central event of the OTO and the EGC is Crowley’s Gnostic Mass. It is regularly practiced. On almost any given Sunday somewhere in the UK the Gnostic Mass is given by an OTO body. 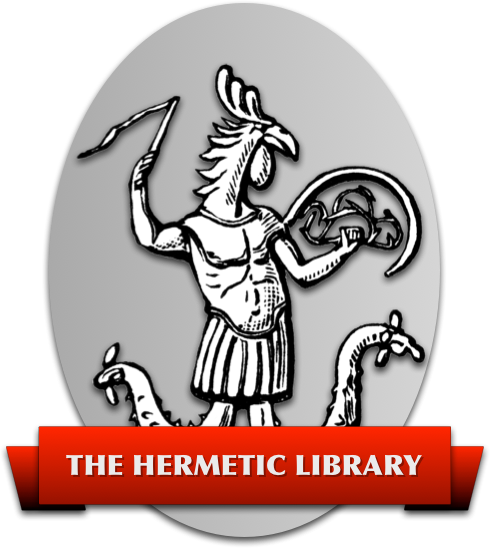 It is treated as a serious magickal working, and many OTO members throughout the UK study it in great detail. Even when I am not fulfilling one of the officiant roles, I always take something away from participation in the Gnostic Mass — from just the relief of being still in a beautiful ritual space and allowing it to provide atmosphere for magickal meditation to serious revelations about how my life and my Work is progressing. From conversations with others in the OTO and with guests, spiritual benefit from participating in the Gnostic Mass seems to be the norm rather than the exception. In addition to the Gnostic Mass, I have first-hand experience of OTO bodies in the UK holding various workshops, including ones on working with the Goetia, Reiki and Yoga, creating and performing Equinox rituals, and holding many of the feasts spoken of by Crowley, comprised of astrologically-attuned ingredients. Ideally, in my opinion, the OTO worldwide would regularly practice a wide variety of Thelemic rituals as well. But that is another discussion for another time. Ultimately, I wrote to let you know that there are practicing magickians in the OTO. We are not all continually drug-addled social rejects. I think proper presentation of the Gnostic Mass should not be overlooked as a genuine Thelemic ritual which is regularly enacted by the OTO. Best wishes for the future, wherever it leads you, and continued fortitude as you pursue the Great Work. I look forward to more TCTC, and hope that you will be able to continue ‘casting it in the future. It’s so good to have your podcast back. I’ve missed it greatly, especially your ongoing conversations with Keith 418, always both informative and challenging. I’m listening to the first of the new podcasts and you’re back with a running start: an excellent show. I will hungrily await all that follow. Interview Niki Hughes about the Gnosis Festival - There is also a Google Group for Gnosis 2007. Discussion with Keith418 looking at Thelema, is it a religion? Interview with David Rankine about the new Golden Hoard book, The Goetia of Dr Rudd. Closing Music: Hymn of Pan by Coph Nia. NOTE: This show was meant to be released on Saturday, October 6, 2007. However, due to technical problems with the hosting company, the released was delayed until October 8, 2007. We apologize for the delay.